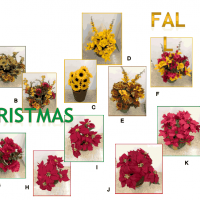 J & E Wholesale Floral has a selection of containers suitable for those fall arrangments. We have baskets in all sizes and shapes, glass vases in a variety of colors and unique flower pots. Our crystals and glass collection is very elegant yet affordable. See what we have to offer in the online flyers below. We have a complete product line of items to make your 2014 prom or wedding unforgettable. See our online brochures and be amazed at what we offer. See our beautiful selection of permanent (aka silk) bushes for fall and Christmas. They are so life-like you'll need to touch them to see if they are real! 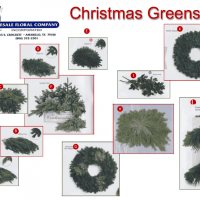 View the selection of Christmas plants we have to offer.